How does the Magento 2 Popup extension hop in your business express? Create a popup for each and every promo campaign in your store. Narrow down the audience to show highly targeted popups. Insert a promo in your store layout seamlessly due to the number of popup positions. Display relevant content as the popup block is fully customizable. Examine statistics on a promo to plan a powerful future strategy. Plan campaigns calculating all the possible outcomes. Run promos that cover the maximum audience and bring in the most notable results to the budget. Anticipate any patterns in customer behavior and react properly with the Magento 2 Newsletter Popup extension. Select an animation effect out of 7 predefined options. Analyze views, clicks, and CTR. How Popup Pro Magento 2 extension beat the competition? Benefit most from the popups in your store. If you consider popups inefficient for your Magento store, because they are annoying, distracting and generally useless, stop thinking like that. In fact, exactly all the alleged disadvantages of popups make them so efficient. Imagine that popups are able to increase your subscription rates up to 1.375% or grow your conversion rates by 44%. For some cases popups work just perfectly, including email captures, sales promotions, contest participation motivations, product upsells and cross-sells, etc. Of course, you need to follow some simple rules to make popups work properly and engage customers rather than to scare them away. Choose the right moment. Hitting visitors with popups from the very entrance of your store is harmful. First, you should allow them to get accustomed to the design, layout and start browsing the products they need. After that you can show them some useful information on popups and expeсt a positive reaction. Choose the right format. Try to make popups readable and comprehensible instantly. This leaves customers no time for irritation and allow them to continue browsing nonstop or take advantage of the popped up message. Make it easy to exit popups. In order to make customers feel free when they browse your store, allow them to shut down Magento 2 popup windows easily. Show popups infrequently. Do not show popups to often to the same users as it will certainly annoy them and even make them to leave the store. Guided by common sense, a popup that is shown once per visitor’s session is quite enough in any case. 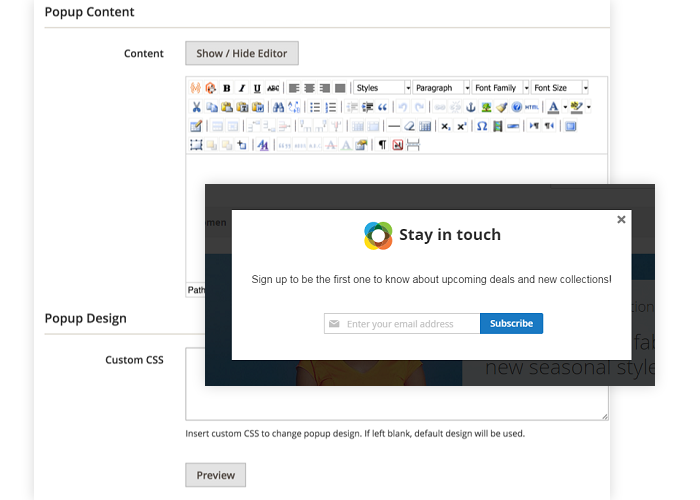 Use lightbox popups with straight calls to action. Lightbox popups are usually exploited for email subscriptions, but they are also great for any purpose. According to multiple statistics, popups are greatly efficient for ecommerce, if used and targeted properly. Using the Popup Pro for Magento 2 extension merchants are able to comply with all the above requirements and get great benefits from their online popups. Make customers interested and engaged with properly triggered and targeted popups. Popups efficiency depends greatly on targeting and timing. Some use cases show a tenfold increase in conversion rates due to some tiny timing improvements. 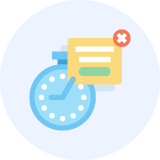 Consider that, according to the use case described in the Shopfy’s blog, the popups that used a 60 second delay made 100-150 email subscriptions per day instead of only 10-15 subscriptions when the newsletter popup was shown immediately as soon as a customer entered the page. The example above shows that you should not embarrass customers with a popup immediately. Right timing is much more efficient and the Popup Pro extension offers you a chance for that. You can select the delay you need with the 'Show popups immediately or delay for the time you need' trigger event. Moreover, you can show popups only on certain product pages selected by multiple product attributes. 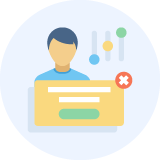 This functionality is especially useful for upsell and cross-sell notifications or some pinpoint product promotions offering individual product coupons for slow moving inventory. The combination of a proper moment with relevant context make the popups created by the extension extremely valuable for your customers. With this functionality they will gladly use the provided information or respond to a relevant call to action as it fully corresponds to their current shopping needs. 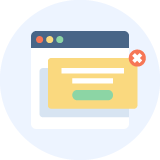 Deacrease exit reates in your store with effective exit popups. 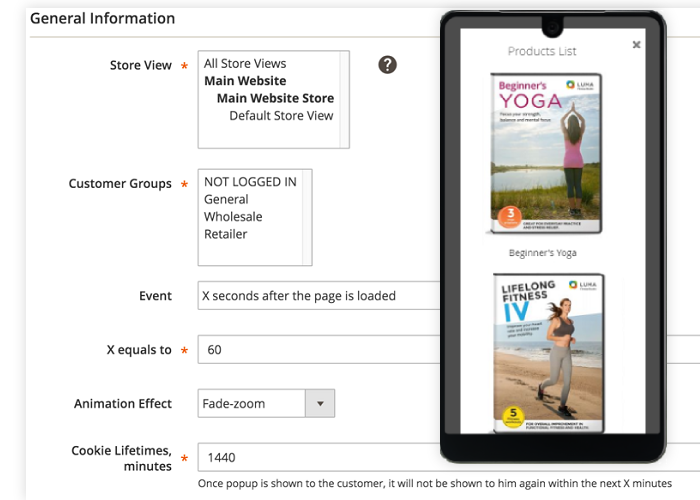 The Popup Pro for Magento 2 extension also allows you to set up and utilize the functionality showing popups immediately as a customer moves his cursor outside the website window. However, it is just a necessary premise leading to really effective exit popups. Next, you need to know the reasons making them leave the store and show them that exactly popup that promises to change the situation. According to Statista, most often reasons for that are price-related issues, including 'unexpected costs', 'I found a better price else where', 'Overall price too expensive', etc. So, the solution is simple in this case - just try to offer them a coupon code and motivate their first purchase. Or you can offer them some discounted products and use popups as landing pages for your product collections. Of course, you can create any message you like, but it certainly needs to be based on verified data about your visitors and their intents. The opportunity to use exit popups provided by the Popup Pro extension is a great benefit. Use cases show that exit popups are able to reduce bounce rates up to 60% and increase the on-site time by more than 50%. Follow informed customers with relevant popup notifications. Naturally, some customers are more engaged with your web store and need some in-depth information regarding your products and services. For example, some customers scroll your pages down to 70% of the content and more. Or they walk through 7+ pages instead of 3 pages on average. Those customers are likely more interested in your products since they carefully evaluate and look for the best options. The module allows you to show them special popups using the 'Once the page is scrolled by X%' and 'Once the customer viewed X pages' trigger events. You can determine the X variable individually and tailor such popups for your best fit. Such customers usually are ready for large product offers and will appreciate your professional assitance. Using scroll-based and pages-based popups you have all chances to convert customers' intentions into purchases and increase conversion rates greatly. Equip your popups with great design and valuable content increasing conversions. - Add call to action buttons. Using the provided by the Popup Pro extension functionality you can easily follow all the above recommendations and even select the animation effect you need. Even though it sounds to be easy there is no one for all solution when it comes to design and content. So, you need to take advantage of split testing before implementing any updates. As soon as the changes suit your audience you can count on certainly great results. The Magento 2 Popup extension provides merchants with the functionality that is usually enough for creating a versatile popup content (WYSIWYG editor) and customized design (custom CSS is allowed). In addition, Magento admins are able to select preferred popup positions and animated effects. So, using custom design and relevant messages store owners are able to create effective and convertible Magento 2 popups. Take advantage of some real life use cases about popups on Magento 2. Let’s say you want to increase your Magento newsletter subscription base, but you don’t want to push your customers away by annoying them. Easy! The key to a properly working pop-up is relevance and timing. Option 2. Target trend-conscious customers. Using custom conditions, create a pop-up that appears only on the newly arrived product pages. Use something like “Be the first one to learn about our new collection!” or “Subscribers only! Get a head start on the newest models”.By targeting different groups of customers with corresponding messages you will be able to reduce the annoyance and increase the success rate of your Magento 2 pop-ups. You can create any number of similar popups suitable for different customer groups and personalize them beneficially according to certain customer behavior patterns. By selecting and adjusting specific trigger events administrator controls the exact conditions and timing of a popup. In particular, a popup may be triggered by exit intent, % of page scrolled, or the number of pages viewed. I display my Newsletter subscription form and also use the pop-up during promo offers, very useful. Very powerful module and outstanding support. Thanks again! I really like the way it works on my store. I was looking a lot for an option to display my newsletter subscription form in automatic pop up and I finally got it with AW popup module. The support team installed it for me at no extra charge, and their service impressed me a lot when they even made basic configuration to ensure it works fine after installation. I love the extension and give Aheadworks 5 star! Been using this product for a while, totally satisfied. Had a configuration question - support was helpful and quick. Ok, but needs more integration options! The feature "page scrolled down by 30%" is the one we needed and it is working surprisingly good. Generally, this product works as advertised. I the only wish is to make use of cms blocks like they did it in their Custom Static Blocks (which I also do recommend). This way it would be needed to create a single CMS promo and use it everywhere on the site. Actually, a full integration with that module including its scheduling options would be valuable for every store owner. How do I insert a newsletter subscription form into popup? Just make sure to switch from WYSIWYG editor to plain text edit mode prior inserting this line.